In today’s marketing world, content is king. According to Demand Metric, 90% of all B2B organizations are marketing with content and with good reason. Content marketing generates three times more leads than traditional marketing per dollar spent. While 90% of B2Bs say they are marketing with content, only 35% say their efforts are effective. This is usually due to a lack of planning. Having a documented content strategy that revolves around your buyer personas will increase your effectiveness significantly. A key piece of every content strategy is premium content. Identifying and creating engaging premium content for every step of the buyer’s journey is very important to your content marketing success. At Imagine, we spend significant time with our clients (and for ourselves) identifying and creating premium content pieces. Before we go too much further in this discussion, let’s define premium content. In some industries, premium content may be something you subscribe to and/or pay for. What I’m talking about today is not something anyone has to buy. It is content that goes beyond web pages or blog posts to provide more in depth information about a given topic. It is made available for free on your website but usually requires the visitor to provide an email address or other opt-in information to receive the information. The main goal of premium content is to move your prospects through their buyer’s journey. Establishing your company as an authority. Writing an ebook or how-to guide that answers a question for your prospects will help establish your company as an expert on that topic. The next time they’re looking for something related, they will return to your site. Generating new leads. By requiring visitors to provide an email addresses and possibly additional information, you are adding to your database of leads. While these individuals may not be ready to purchase, having their email addresses allows you to decide whether or not to enroll them in one of your nurture programs. 24/7/365 availability. In the old days, a lot of the advanced information contained in premium content pieces was only available through a personal meeting. A website rich with premium content is available to any prospect at any time. It’s like having a sales or customer service representative available literally all of the time. Hopefully by now, you’re convinced that you should start or spend more time on your premium content efforts and you may be wondering where to start. Here are a few ideas to help you. As is the case with all things inbound, it all starts with buyer personas. Premium content needs to address the questions that keep your prospects up at night. You won’t know those questions unless you really know your personas. Spend the time upfront creating and/or reviewing them. Almost everyone has some form of premium content. If you have produced a webinar, turn it into a whitepaper. A case study could be the basis of a “how-to” guide. Also review your most popular blog topics. It is possible that one of those may warrant the creation of an ebook or more advanced content. Check-in with the groups your personas belong to on LinkedIn. Develop topics based on the questions they are asking there. Monitor other social media conversations. Sales reps talk to customers and prospects everyday. Ask them what types of questions they are hearing and create premium content pieces that answer those questions. Your sales reps will also be able to use the tools as they work through the sales process. Once your content has been created, it is important to make it readily available. Promote it through your established social media platforms. Create compelling calls-to-action for each piece that make your prospects believe they need to have it. Place your CTAs strategically on your website. Do not make visitors search for it. 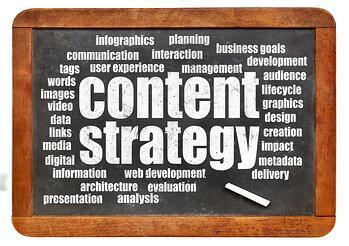 Premium content is a critical part of any content strategy. Spending the time and resources necessary to create engaging pieces that move your prospects through the buyer’s journey is well worth it.